With the onset of the colder weather, a common issue we come across is burst pipes. In this post we take a look at the importance of insulating your pipes before the Winter. 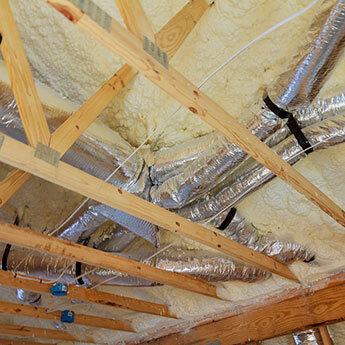 When you have exposed pipes in your home, it is a good idea to insulate them from the cold. As well as preventing damage to your home, through a pipe bursting, it can also save you money on heating bills through preventing heat loss. When considering insulating pipes to prevent freezing, the key is to locate those in areas exposed to the cold. Areas to check include the loft, exterior walls, the garage and anywhere else where the pipes are exposed. It’s worth paying attention to pipes inside as if, for example, you leave the house without any heating on, over a very cold spell these may freeze and you could return to find a burst pipe and damaged property. It is also a good idea to insulate pipes to prevent the heat from escaping. You should insulate any exposed hot water pipes you can find and get to. Foam pipe insulation is widely available and relatively cheap to buy. We specialise in all your heating and plumbing needs. We cover Surrey, South London and the surrounding areas. Contact us today 020 8395 8060 or visit https://www.carshalton-boilers.co.uk/ to discuss how we can help keep your home warm this winter.